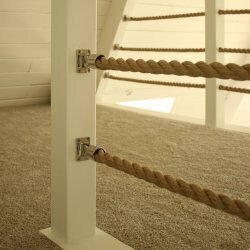 Twisted rope with vermiculite coating has the appearance of aged marine / nautical rope found aboard ship, docks and other marine settings. Tested and certified to meet the requirements of ASTM E 162, ASTM E 662 and SMP 800-C for surface flammability, smoke and toxic gas generation. 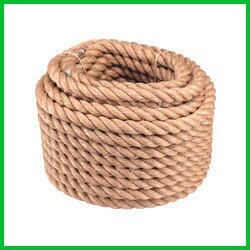 Commonly used to wrap posts, accent railings or use as decorate accents on walls, draped over chests and marine ornaments, around frames, table edges, window and door frames, etc. to create or enhance a marine-look theme.